Stacy-Deanne is an award-winning novelist of crime fiction, mystery and interracial romantic suspense. She began her writing career with Everlasting published in 2007, and went on to pen Melody, Giving Up The Ghost, and her recently released novel, The Season of Sin. The Season of Sin was named a Recommended Read by USA Today in December 2012 and named one of the Top Reads of 2012 by OOSA Bookclub. B2M presents our exclusive interview with Stacy-Deanne. STACY: Thanks so much for having me. B2M: Please tell our readers about your book The Season of Sin? STACY: Detective Brianna “Bree” Morris and her partner and ex-lover Steven Kemp are back. This time they are thrown head first into a gruesome homicide that brings forth as many secrets as it does clues. 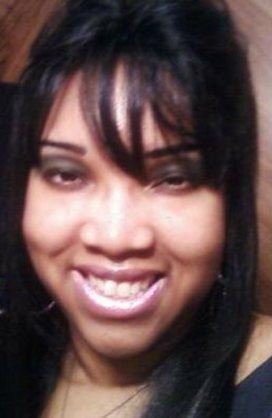 Brianna’s psychiatrist, Dr. Nadia Hollister is stabbed to death in her upstairs bathroom. Brianna, who is at Nadia’s while the murder happens, is the only witness. Unfortunately she was knocked unconscious by the killer and only has the memory of the killer’s scent to go on. Brianna and Steven sign on to help Homicide Detective Jayce Matthews solve the case. With Nadia’s journals as her guide, Bree learns that Nadia was keeping a devastating secret that has something to do with her adopted daughter. The renowned doctor was not whom she seemed to be and her secret may not have only got her killed but could ruin the foundation of her entire family. The police hunt for suspects but Nadia’s secret could wreck the lives of many, all who have motive to kill her. The deeper Brianna and Steven dig into Nadia’s past; the more they question whether Nadia was the true victim after all. B2M: What sparked your interest in penning this particular story? STACY: This is the second installment in my current interracial suspense series. Detectives Brianna “Bree” Morris and Steven Kemp originate from my 2008 novel Melody. I fell in love with the characters so much that I began their own series and in 2011, I released the first installment, Giving up the Ghost. B2M: In the developmental stages, was there a character that presented a challenge for you? STACY: The killer was. The funny thing is that there are so many complex characters in The Season of Sin, so many of them were a challenge. Also, I never know who is going to be the culprit when I first start writing so the entire thing is a mystery to me until I really get into the story. It’s difficult to pull off a believable culprit or villain without giving them up too early. I find the villains the hardest to write but they are also my favorite characters. So much development goes into making a character that’s compelling and sympathetic, but somewhat bad at the same time. Then you have the type of culprits or suspects who are not bad but do bad things. I love those characters the most because it throws the audience off. B2M: What message do you hope readers will gain from reading this novel? STACY: I didn’t write this novel with a message in mind. LOL! No, it’s just for entertainment. If readers get a message from it that’s great, but I wrote it to take people away and to thrill them. I don’t think everything has to have a message. Sometimes a book can be just a book. People make perceptions of things anyway so I’m sure readers will automatically find their own messages. B2M: What other subject matters would you like to explore in your writings? STACY: I write about many different things in my work. I write about adoption, sexual assault, murder, stalking, homosexuality, racism and domestic violence. It is hard for me to think of my writing in terms of the future because that’s not how I think of my writing. I can speak about a genre I might wanna try in the future, but subject matter is up to the story so I wouldn’t know what subject matter I’d be interested in writing about until I start that particular story. B2M: Do you have a favorite author? If so, please tell us who, and why you admire their work. STACY: My favorite author is Edgar Allan Poe. He is the most brilliant mystery, suspense, and horror writer ever. One of my favorites from him is The Tale-Tell Heart. I admire the way his mind worked. He had a way of getting a story out that no one could imitate. His work is so dark and real that sometimes I wonder if it was fiction. I think Poe was trying to tell us something about himself in his stories. I love stories that deal with insanity and psychological issues. I love the process of a character slipping over the brink of insanity. Poe was a master at creating three-dimensional, tortured souls. B2M: Do you have a special place or ritual that allows you to tap into your creativity when writing? STACY: No I don’t rely on rituals or anything. LOL! I just sit down and write. I love to let my creativity flow freely. It’s easy for me to jump into a project so I’ve never needed rituals. B2M: What would you say is the most important ingredient required when crafting a novel that draws readers into the story? STACY: It’s tension without a doubt. Without tension, why would someone even turn the page? Why would they care? Characters have to do something that gets the reader involved. If there’s no tension, there is no story in my opinion. B2M: What advice would you like to offer to aspiring authors? STACY: They should research and remember to focus on quality and not quantity. Too many new writers these days have it in their heads that they need to push out tons of books in a year. I don’t know where they get this from but that’s defeating the purpose of writing if you sacrifice quality. People need to take their time, learn their craft, and let things happen when they should. You can’t control the outcome but you can control how hard you work on your craft. Focus on that. STACY: In July of this year my third installment in my interracial suspense series, The Wild Life will be released. I’m planning a blog tour for it and very excited about that. In 2014, I will have two titles released. The first will be The Ultimate Rush. It’s a standalone novel dealing with domestic violence, adoption, and racism. Later next year Harm a Fly, the fourth installment in my series, will be released. All titles are from Peace in the Storm Publishing. B2M: Stacy-Deanne we encourage you to continue writing books that offer great stories with interesting characters. We look forward to hearing more from you. You are welcome to visit the website of Stacy-Deanne at www.Stacy-Deanne.net or www.PeaceInTheStormPublishing.com.